What? 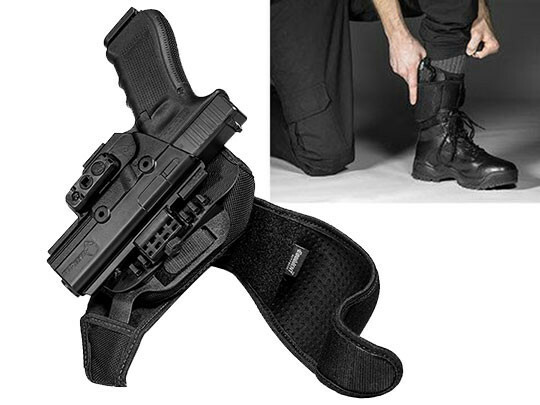 A Glock 31 ankle holster? That sounds ludicrous! There's no way you could ankle carry that gun. It's just too big. There's no way to carry it well with an ankle holster. Oh yes there is. 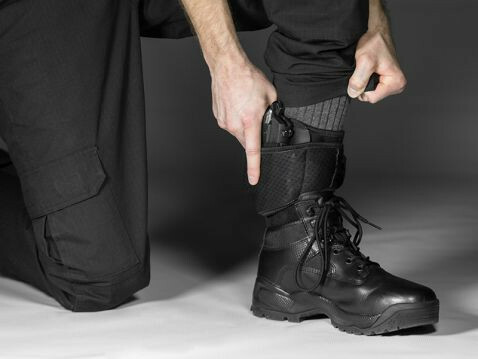 In fact, Glock 31 ankle carry is not only possible, but it's possible for a quality carry...but you need the right holster to do it. 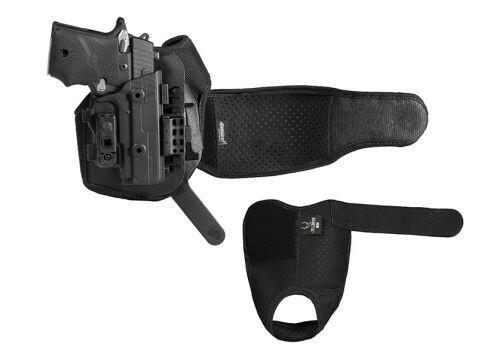 You'd need a holster that carried comfortably, but offered enough support and stability. It would also have to actually hold the pistol well, with good retention. And that's exactly what our Glock 31 ankle carry holster does. The strapping includes both vertical and horizontal straps. 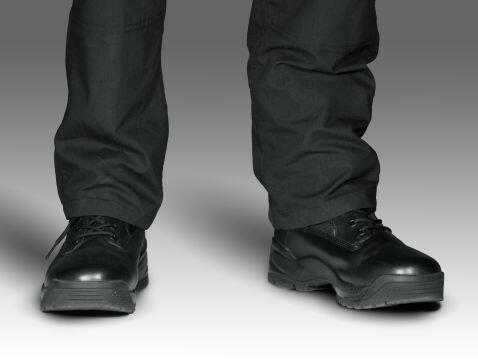 This makes our ankle holster stronger and more stable than any other. 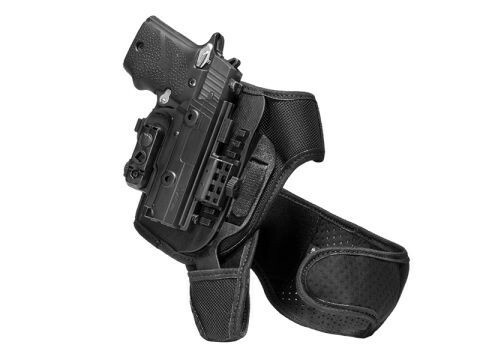 Once secured, the holster is very stable and strong, so you can ankle carry a Glock 31 without issue. 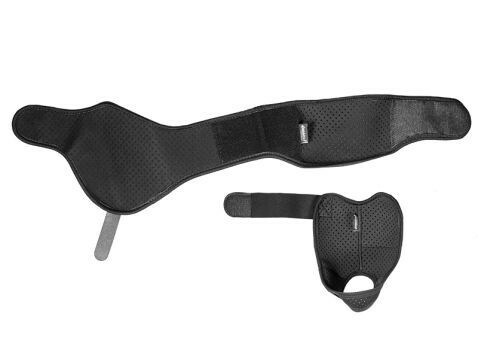 The strapping is made from our Cool Vent neoprene, which makes the holster comfortable to wear in all climates. 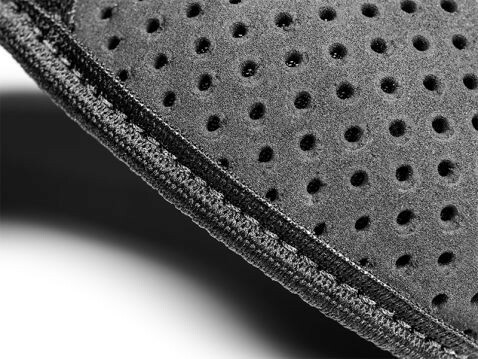 The perforated neoprene breathes against the skin but also wicks away moisture, keeping you cooler than with other ankle holsters. You won't have to worry about your skin turning into a swamp while carrying. 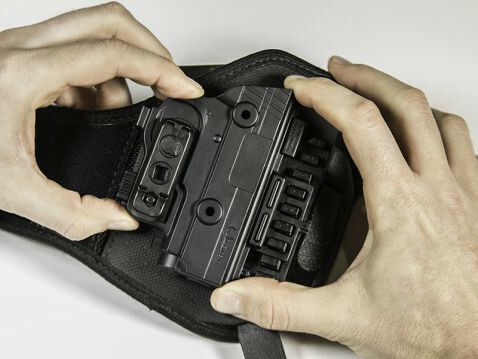 Stop worrying about retention - our Glock 31 ankle holster is custom-molded for this firearm, so you'll notice a custom fit right out of the box. The trigger guard is fully enclosed, ensuring security while carrying. You can also adjust the passive retention on the holster as well as the ride height, so you can set the perfect carry position. We also give you our Iron-Clad Guarantee, including a 30 Day Test Drive trial period - during which you can return the holster for a full refund - and a full and comprehensive product warranty. Any defect in the holster or damage that occurs to it, for any reason, will be repaired or you'll get a brand-new holster. For as long as you have it. Looking to shift to ankle carry? 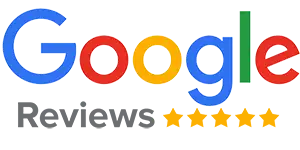 This is how it can be done better.